Facebook is rolling out a new version of its iOS app, which it claims is twice as fast as the old edition. Facebook 5.0 for iOS should open, scroll and load pictures more quickly on iPad and iPhones because Facebook has rebuilt it completely from the ground up. A banner will let you know if new stories are posted while you're scrolling through the news feed, and a nifty new swipe-to-close photos feature sounds handy too. Anyone who has used the Facebook iOS app until now will realise what a welcome upgrade this is; the current edition was buggy, slow, tempermental, prone to crashing and generally frustrating. Android users may be feeling left out – Facebook tells us that although today's announcement is only for the iOS app, "We want to be as deeply integrated into phones as possible. This is the beginning." As well as the app update, Facebook has announced a few braggy stats about its mobile versions: in June alone, 543 million people used Facebook's mobile products. 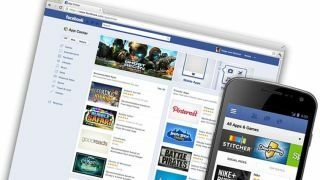 The social network is now on over 7,000 mobile devices while over nine million apps and websites were integrated with Facebook as of March 2012. Sounds like Facebook is going after mobile in a big way; which will come as no surprise to anyone who remembers Zuck's last comments on the subject of a Facebook phone. Facebook hardware, he said, "really wouldn't make much sense for us to do" but the network wants to be as "deeply integrated as possible". Find the updated Facebook apps on iTunes later today.